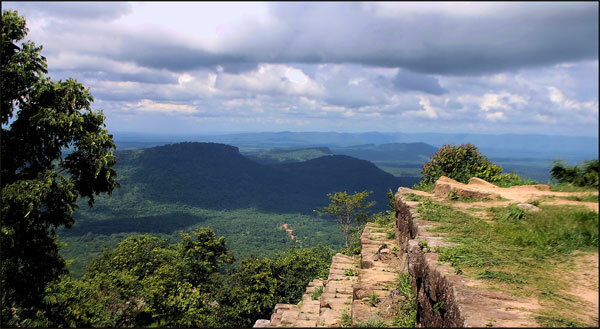 Is Preah Vihear safe to visit? Photo: Informative sign, Kep National Park. Preah Vihear temple is one of the most spectacular temple sites in all of Cambodia. Appropriately dedicated to Shiva, the Supreme Being of the Mountain, the temple sits atop a hill-range with simply incredible views across much of the northwest of the country and is accessed by an 800-metre long, steadily rising causeway. It has also been the object of a bitter ownership dispute going back to the 1950s between Thailand and Cambodia and recent years have seen it being used as a useful, and cynical, tool by politicians keen to stoke up nationalistic fervour. In 2011, these tensions came to a bloody head, with conflict breaking out between the Thai and Cambodian military forces camped out on either side of the border bringing casualties on both sides and damage to the 11th century Preah Vihear temple grabbing headlines, including allegations that Thailand was using banned cluster bombs. Since then, the International Court of Justice in 2013 made a second ruling on the dispute, affirming its 1962 decision that the temple lies within Cambodian territory, although parts of the disputed area nearby were held to belong to Thailand. The decision seems to have calmed tempers somewhat, and the election of Thaksin Shinawatra’s sister Yingluck also improved relations between the two governments. In January this year, we heard a report that a Thai advisor joined a Cambodian archaeological mission to the temple; a major sign of conciliation for both sides. However, both the British and US Embassies continue to advise against travel to the temple site on the grounds that conflict might possibly flare up again. Our own view is somewhat less cautious. 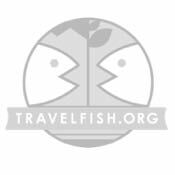 While we would firmly advise checking with your guest house and the local English language press to see whether the two countries have started at each other again, we believe that the site is for the main part safe for visitors. The general prohibition against stepping off well-beaten paths should absolutely not be forgotten however. Below is Mark Ord’s excellent review of the events of 2011, and the lead up to them, written shortly after conflict between the two countries broke out. 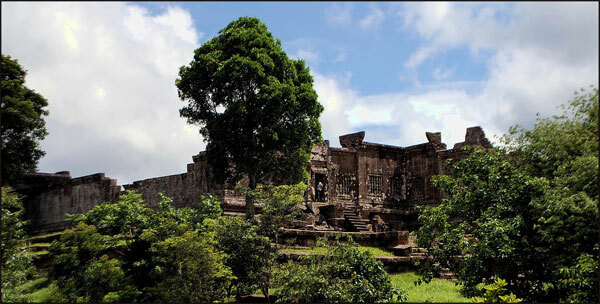 On February 4, firefights between the Thai and Cambodian armies broke out in and around the disputed ruined temple of Preah Vihear. Skirmishes reached a peak two days later when both sides carried out full-scale heavy artillery bombardments. Both sides claimed civilian casualties, with the Thais showing photographs of destroyed buildings in nearby villages and Khmers claiming Thai shells had reached up to 20 kilometres into Cambodian territory. Both sides claimed the other had fired first and made exaggerated claims of victory. Thai officers claimed 64 dead Khmer soldiers; Khmers reckoned they knocked out two Thai tanks. On Monday, Cambodian Prime Minister Hun Sen appealed to the UN, insisting that Thailand was invading his country and pointing out that they had caused serious damage to the ancient temple. As of February 10, the shooting had stopped and all appears calm — for now. 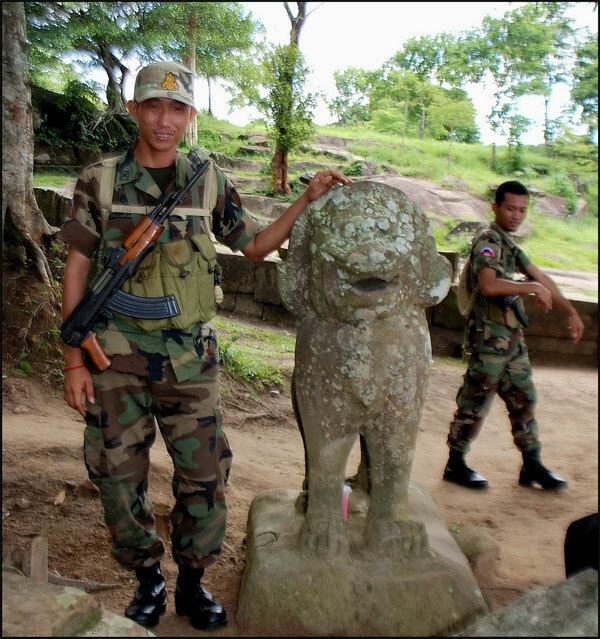 Access to Preah Vihear from the Thai side had been curtailed even ahead of the recent violence. 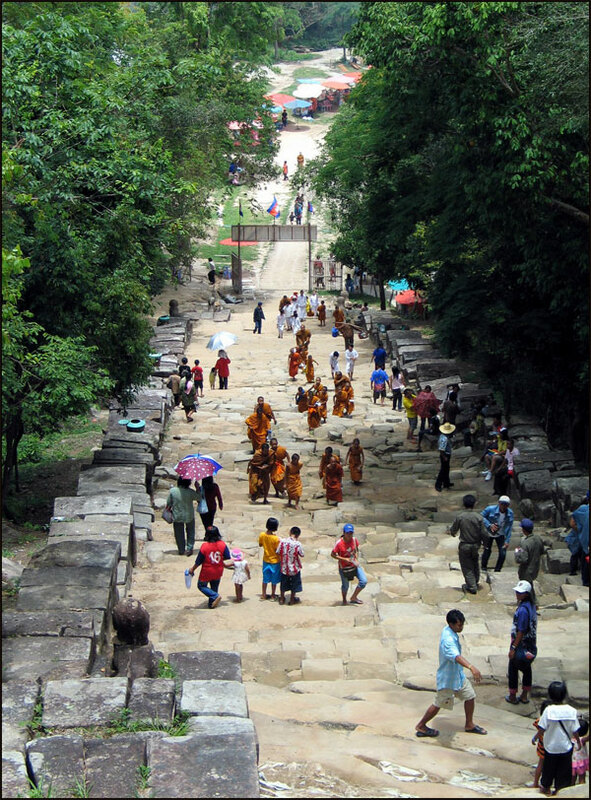 But it had been possible to reach the temple from Cambodia up until very recently. (We visited in August 2010 and though we had the place to ourselves we were willingly given a guided tour by a couple of Khmer soldiers.) Work on the Kompong Thom-Preah Vihear and Siem Reap-Anlong Veng-Preah Vihear routes mean it’s possible to reach Preah Vihear in a day from Phnom Penh. The temple can also be visited as a day trip from Siem Reap, meaning the temple could be firmly on the Cambodia tourist circuit. But the new sealed road leading to the top of the mountain passes through disputed territory, so if the Thais want to be awkward then this will be a major sticking point. If that stumbling block is overcome, expect access from the Khmer side to be feasible in the not too distant future. Do not expect Thai access to be reinstated in the near future — try Phnom Rung instead. Please note that most Western governments including the UK and US have been warning against travel to Preah Vihear for some time already. Travel insurance bought in those countries is may be invalidated if you chose to ignore their advice. The atmospheric little border temple of Tha Muean in Surin was off limits as of last weekend, but since we hear Thai and Khmer soldiers there were planning on having dinner together, that one may re-open soon. To the Khmers, Preah Vihear is both the name of a province in north Cambodia and an Angkor-period ruined temple on the Thai border. For Thais, Khao Phra Viharn applies to a national park, temple, (Prasart Khao Phra Viharn), and the mountain the temple is situated upon. The temple itself is located on the edge of a 400m escarpment of the Dandrek mountains, a range forming the border between northern Cambodia and the Thai provinces of Ubon, Sisaket, Surin and Buriram. 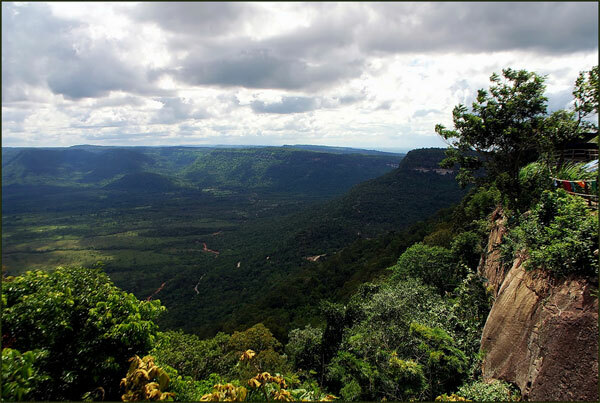 To the north the land slopes down to the plains of the Khorat plateau, while the south provides a dramatic view over the forested lands of north Cambodia. When they controlled Cambodia, the French delineated the border with independent Siam by following the watershed of the Dandrek mountains, though making a slight detour at Preah Vihear. 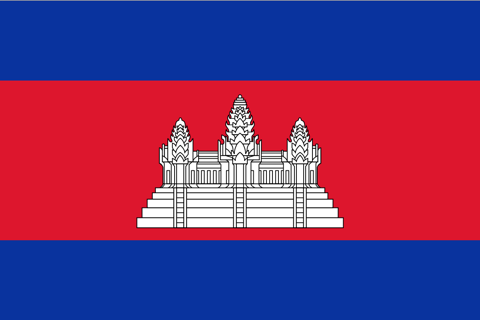 A dispute over ownership, since the Thais pointed out it was on their side of the watershed, was settled in 1962 when a UN ruling confirmed it as part of Cambodia. However, the owner of 4.6 square kilometres of wooded hillside directly west of the temple was not determined — leading to the current problems. The western slopes and hillside opposite were Khmer Rouge territory until the mid-90s and remain strewn with mines and unexploded ordnance. No one really bothered about the area until recently when it became politically expedient to do so for both Thai and Khmer domestic political purposes. The first serious squabbling began in mid-2008 when UNESCO awarded Preah Vihear World Heritage status and recognised it as being Cambodian — ignoring Thai claims that it should be jointly administered. Thai nationalists demonstrated near the temple and a military build-up ensued, with an exchange of fire in August 2008. Sporadic low-level outbreaks of violence continued throughout 2008-9, leading to deaths on both sides. Verbal and diplomatic spats persisted through 2010, generally caused by political posturing and agendas, and the stirring up of nationalist sentiments by military/politico cliques in Phnom Penh but particularly Bangkok, where the political scene has been highly charged and unstable. In the build up to the current fighting, groups such as the People’s Alliance for Democracy and Thai Patriotic Network have sought political leverage by prodding the unhealed Preah Vihear wound and Thai-Khmer relations in general. This culminated in the late January arrest of seven members of TPN for trespassing on Cambodian soil. There’s not so many domestic political points to be gained by the Khmer government, but a longstanding fear and resentment of their powerful neighbours, Thailand and Vietnam, means the Khmer government is more than willing to retaliate at the least provocation. Many thanks to our friend Mark Ord, Director at Asia adventure company All Points East for putting this wrap together for us. Put your hand up if you just have no idea what you're doing. No idea where to go, when to go or even how to go. Should you be travelling independently or is an organised tour the better way to go. Where are some of our favourites? Read on. You know when you're going and you know when you're coming back. In between there is a big gap. How do you fill it? Here are some quick pointers. Is malaria a risk for travellers to Cambodia? Get riel: Shortchanged in Cambodia? Elephant riding in Cambodia: Should you?